When affordability and style combine. Small indulgences don’t have to cost a fortune. It could be as simple as upgrading your morning espresso to a longer-lasting cappuccino or picking up a tiny accent piece for your home. If this sounds like a shopping philosophy you subscribe to, you need to head over to H&M right now: The retailer is having a massive sitewide sale, and tons of items are up to 70 percent off. 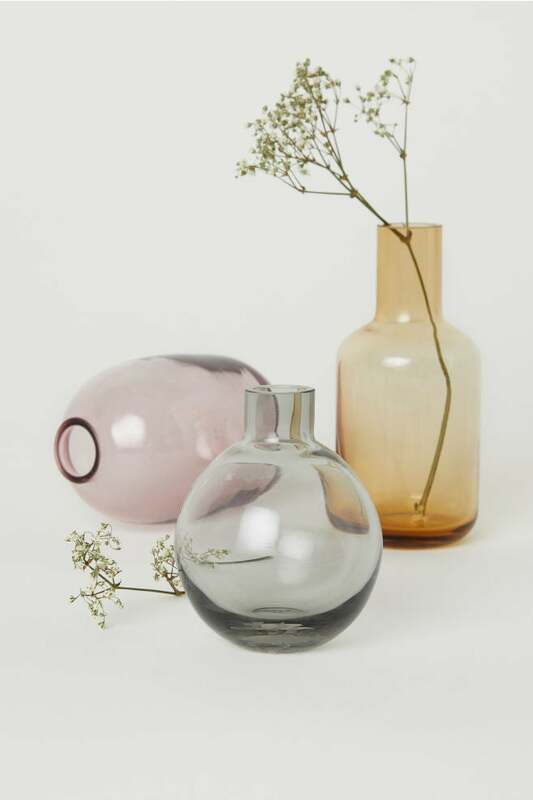 Pick up a tabletop accoutrement to mix up your weeknight dinners or opt for a new vase to hold fresh blooms and brighten up a drab corner of your living room. Whatever you’re searching for, we’ve picked our favorites from the sale for your perusal. The best part? Everything is under $10. It might look ceramic, but this mauve vase is actually painted glass. It’s a tiny detail that makes it all the more interesting; it will look great with any spring flower you choose to add. Give texture a seat at the table with a woven jute placemat. This leather binding detail elevates this everyday kitchen tool from functional to stylish. A timeless pattern in a timeless material—all around, just the perfect easy tabletop accessory. Make a small step toward pulling together your entryway with a catchall dish for your keys or wallet. For a more minimalist display, try a bud vase. Add a couple strands of baby’s breath or another simple flower to add some detail to a nook without going over the top. Because you can never have too much storage. Particularly when said storage is a chic woven basket. An uber-contemporary silhouette meets one of the trendiest colors du jour in the simple tray of your coffee table accessories’ dreams.